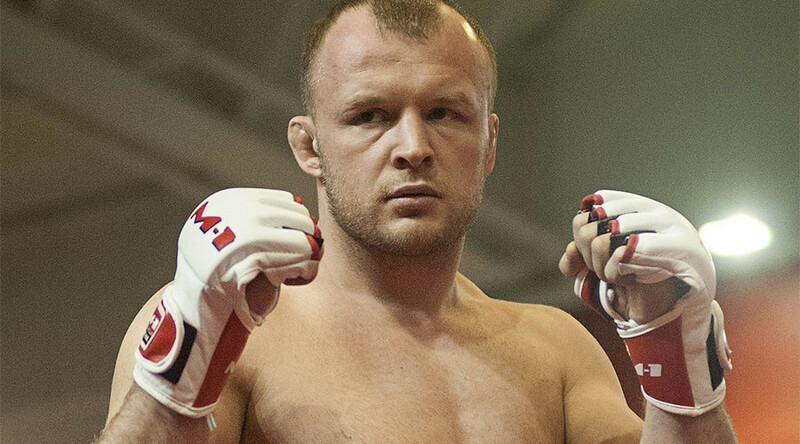 Former Bellator champion Alexander ‘Storm’ Shlemenko is scheduled to fight fellow Russian Ramazan Emeev on the M-1 Challenge 75 card in Moscow on March 3. Shlemenko, who has a professional MMA record of 54-9, is a former Bellator middleweight champion who last fought at Bellator 162 on October 21 in Memphis, Tennessee, where he defeated fellow veteran Kendall Grove by TKO in round two in the headline fight. The 32-year-old from Omsk, who represents New Stream Sport Team, RusFighters and Storm School, will take on the M-1 champion at the Olympic Stadium in the Russian capital. “Of course I am not wary of that word, the whole country is expecting a bout between the two best middleweights in Russia - Alexander Shlemenko and Ramazan Emeev,” said M-1 global head Vadim Finkelstein in a press release, TASS reported. “Their fight should have taken place in summer in the Grand Prix final, but Ramazan couldn’t compete back then due to injury. Друзья, мой следующий бой состоится 3 марта в Москве !!! Имя соперника узнаем чуть позже . “He is our current champion, and Shlemenko has a contract stipulation with Bellator, therefore over the course of the last month we have long expected Sasha (Shlemenko) to receive clearance to fight in Russia, and today it was decided that he will fight on March 3 at M-1 Challenge 75." Shlemenko has also confirmed the information on his social media page. “I have good news. Bellator confirmed that I can take a fight in Russia,” said ‘The Storm’ in an Instagram video. “And on March 3 I will have a fight. I am very glad that I will be able to compete in front of the Russian audience,” he added. The original headline bout at M-1 Challenge 75 between Alexey Kunchenko and Shavkat Rakhmonov was canceled due to a Rakhmonov injury. Also on the card will be a fight between middleweights Sergey Romanov and Magomed Sultanakhmedov.